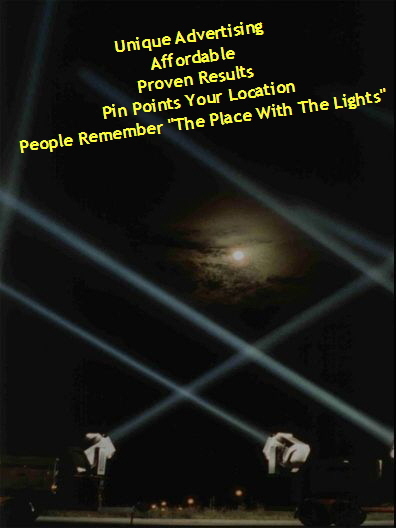 Southeast Searchlight Promotional Spotlights People Remember "The Place With The Lights"
Skytracker Southeast is the largest Searchlight Company on the east coast. With Skytracker brand Promotional Hollywood-style Searchlights in our rental fleet, no job is too big or too small. Sky-Tracker Southeast brings your business promotions out of the dark and gets you noticed. We Light Up Your Night! Bring excitement to your next grand opening, special event, sale, or entertainment venue. SkyTracker Promotional Searchlights will turn curiosity seekers into customers within that critical three mile radius of your business. Nobody can resist the appeal of nearly a billion candle power of light sweeping across the sky! People follow the lights... right to your front door! Since 1979, SkyTracker Searchlights have become the best selling promotional searchlight in the WORLD! Whenever your event calls for high visibility, Skytracker stands above the crowd to create that "Hollywood" Excitement that makes any event a "Special Event". WHATEVER YOUR NEEDS: SALES, SERVICE OR RENTALS - WE FOCUS OUR ATTENTION ON YOU! Searchlights are available for lease, rental, or sale.